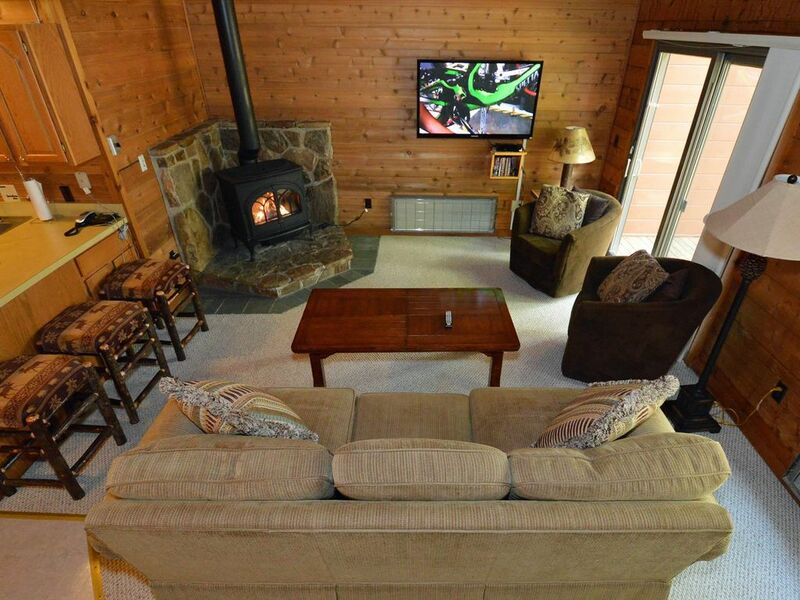 3 BEDROOMS, 2 FULL BATHS: Outstanding Ski In / Ski Out Location. Beautifully furnished. 4 Flat Screens. Gas Fireplace . MASTER Bedroom: Pillowtop Queen Bed, Flat Screen TV/DVD. Bedroom # 2: Pillowtop Queen Bed, Flat Screen TV. Bedroom # 3: Kids Room with Pyramid Bed, flat screen TV/DVD. Free Long Distance. Two Story Townhouse. Walk across your deck, down 3 steps and you're on the trail at the top of Powder Monkey Lift and Western Territory. AMENITIES: Living Room with Gas Fireplace, flat screen TV/BluRay. Washer/Dryer. Blast away with the Ninja Blender. Bonus loft couch seating area overlooks Living Room, gives the kids another place to play, converts into a queen sofabed. Lovingly prepared for your arrival with top quality linens, plenty of towels, paper goods, soaps, and detergents. Complimentary full bag of STARBUCKS Coffee for you. Popcorn for the kids. LOCATION: Snowshoe Village - Next to Shavers Center, the Big Top kids indoor play park and video center. Ski school and Novice Trails take you to the entire mountain. Shuttle Bus stop at Shavers Center takes you to night skiing at Silver Creek. Great for a large family, or two couples with kids. ENJOY: One of the best locations on the mountain. Privacy in the trees, steps to the slopes. Close to everything. Fabulous all new ski chalet interior. 2 bedrooms upstairs with full bath. One Bedroom on main floor with full bath. The best dressed 3 bedroom in Powder Monkey.